Westhorpe Miners. 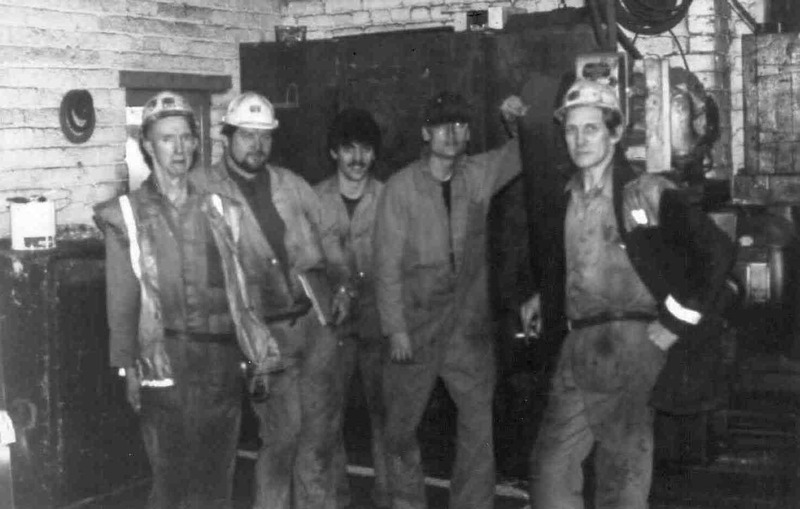 L-R Ray Fleet (Labourer) Jeff Smedley (Electrician) Unknown, Roly Picton (Fitter) Don Spencer (Chock Fitter) Photo courtesy of Mrs A Staples. Ray Fleet was also my uncle, we must be related Zoe. Hannah Emson married George Fleet who was my great granddad. Still have a bad back from helping Jeff Smedley [big lad] hang cables to tidy up the appearance – from Eric Morris [Little lad]!